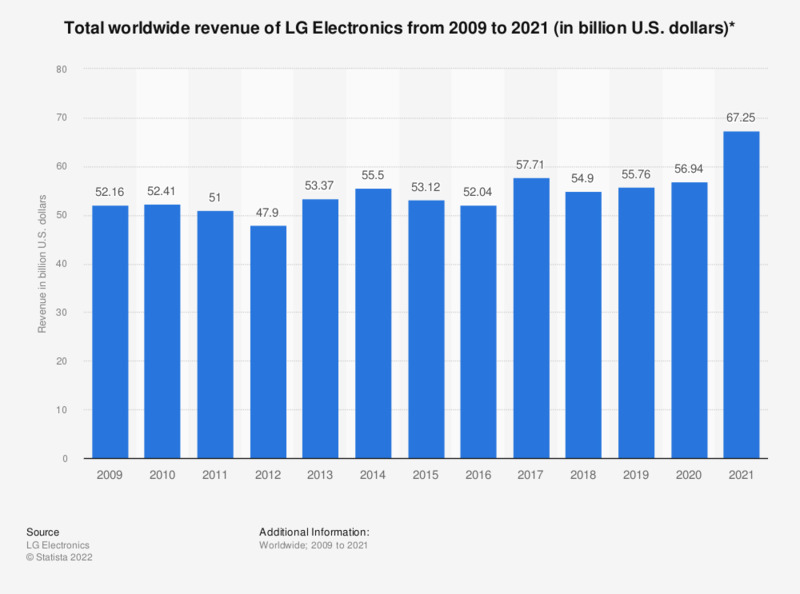 The statistic shows the revenue of LG Electronics from 2009 to 2018. In 2018, LG Electronic's revenue amounted to 54.9 billion U.S. dollars. The South Korean electronics company divides its business into the business segments Home Entertainment, Mobile Communications, Home Appliance and Air Conditioning & Energy Solutions. Home Entertainment and Home Appliance and Air Solutions are LGs largest segments, accounting for a combined 7.95 billion dollars in revenue in the last quarter of 2018 alone. Everything On "LG Electronics" in One Document: Edited and Divided into Handy Chapters. Including Detailed References.